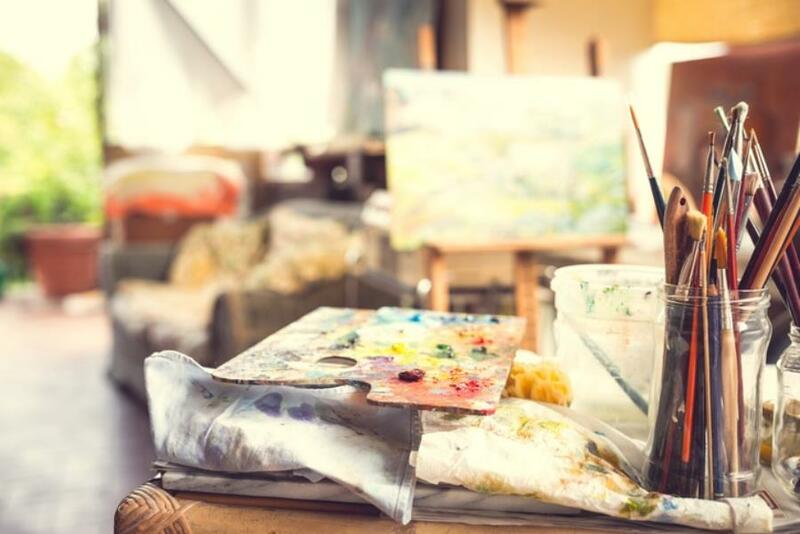 Whether you paint, sculpt, illustrate or specialize in another type of art, an art studio provides a place to work in solitude, store your supplies and display your work. 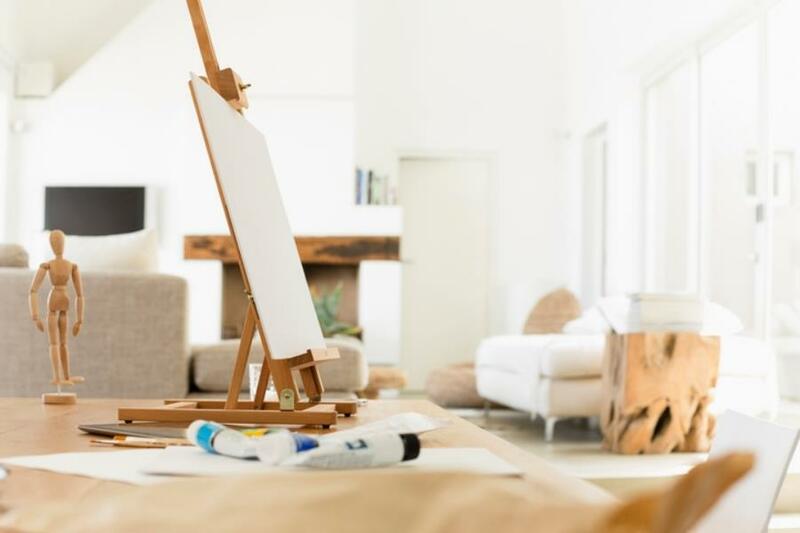 While some artists may work in warehouses, lofts or office buildings, you can create an art studio in your home. 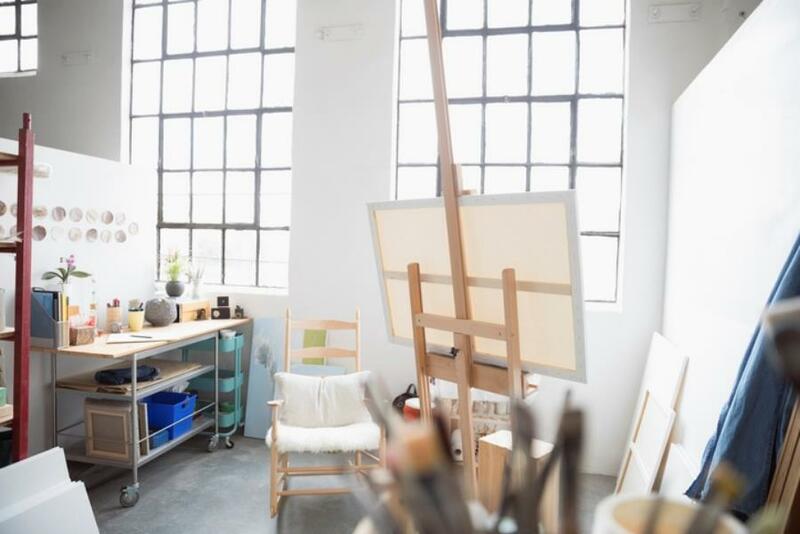 Below are several art studios to provide inspiration, along with tips for creating the type of workspace that will stimulate your imagination and inspire you to create your best work. 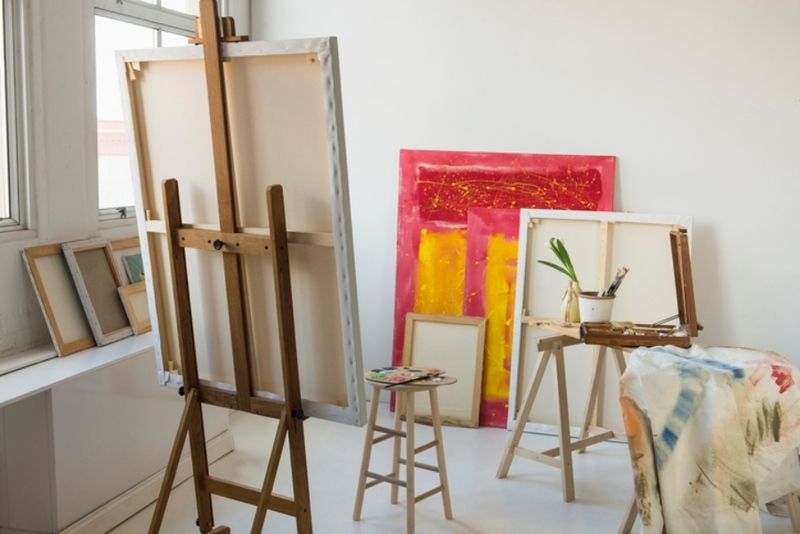 Your first and most important decision is determining where to place your art studio. An attic or an unused room in your home would be an excellent choice. A basement with sufficient sunlight is also a good option. 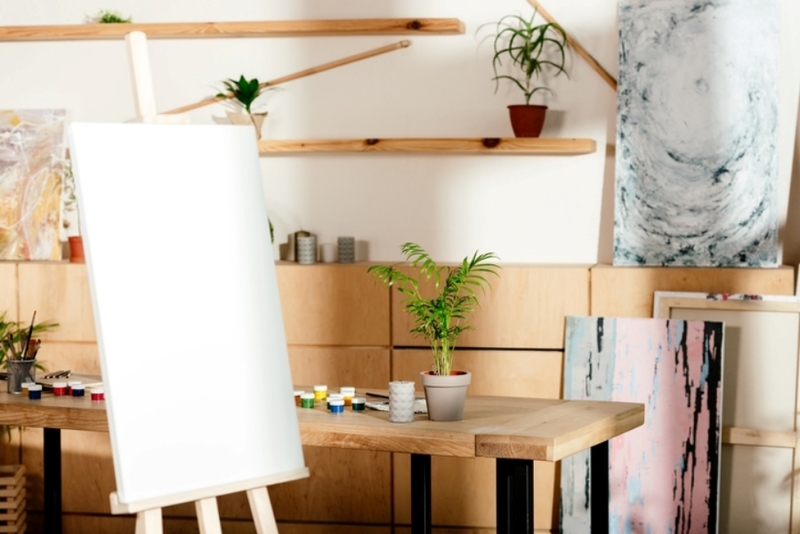 If you don’t use your garage, consider transforming it into an art studio. Or you have enough space on your property to build or buy a small shed, this type of structure is ideal. The color(s) of your studio will depend on your preferences. Art studios are often white, but Mary Kay Liston, president of Five Star Painting, recommends adding a pop of color. “If your paint colors consist of white, white and more white, you’ll create a sterilized feeling,” she says. Liston recommends the color yellow. 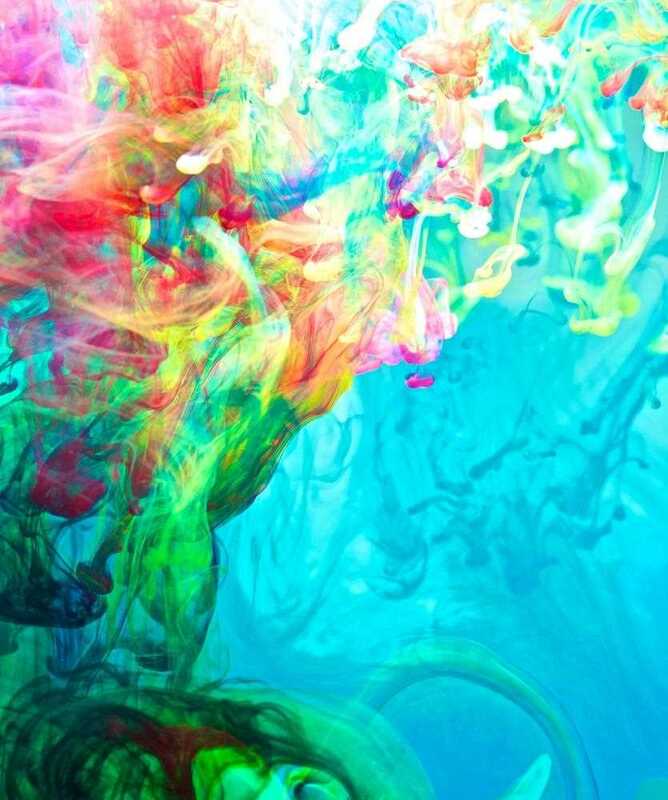 “This is often considered the cheeriest of colors. Yellow denotes a fun-loving, happy vibe,” she says. But there’s another reason to consider this color. “Yellow stimulates the logical side of the brain, creates mental clarity and helps inspire imaginative thinking,” Liston explains. If you decide to go with a traditional white art studio, she says you can add pops of color through accessories. While a small studio is fine, don’t underestimate the value of plenty of space. This will allow you to transition from one area to the next without worrying about accidentally knocking over your easel or stepping on artwork or supplies. “Also, you should get a comfortable chair or stool that is height adjustable so you can alternate between standing or sitting heights, depending on what type of art you are creating,” advises Murphy. “Make sure you have an appropriate storage system to keep your supplies neat and organized,” advises Murphy. “IKEA hacks are a great way to get a chic supply storage system for less.” Depending on your type of art, you need a place to store paint, paint brushes and other supplies. Being organized helps you work more efficiently – and hide clutter. Proper ventilation will ensure that you don’t pass out from the fumes in paint, ink, glue, cleaning fluids and other chemicals. The art studio pictured above has a folding glass wall/door system that can create a completely open space in one corner of the room. 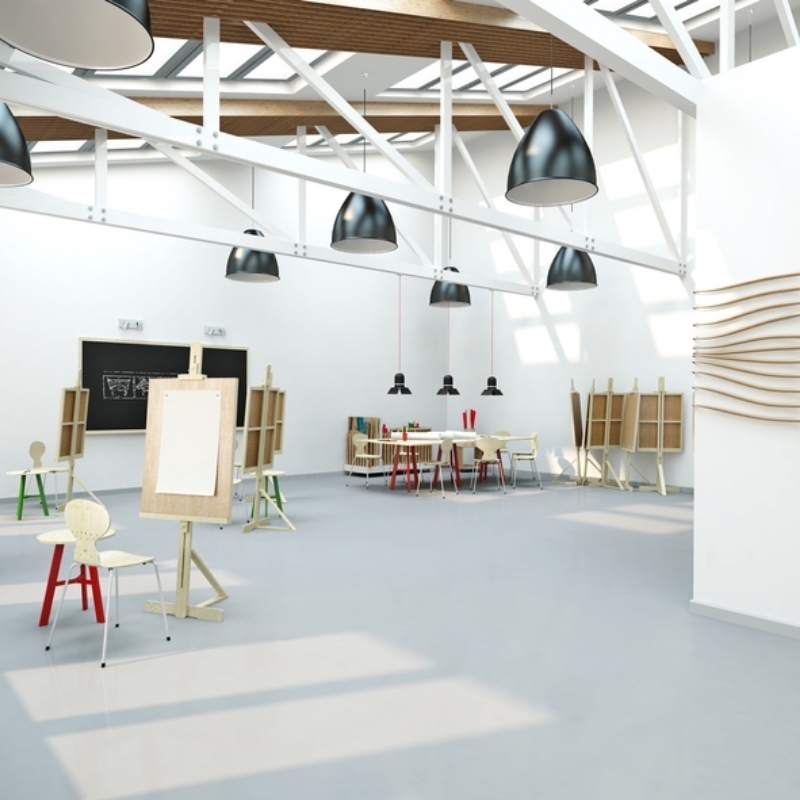 When choosing materials for art studios, make sure that everything is durable and easy to clean – or include well-used items and objects that you don’t mind soiling. The paint splatters on these floors can actually add character. However, if you would prefer not to add character to your floor, consider vinyl or laminate flooring, both of which are easy to clean. As a bonus, the cushion in the underlayment can help ease the pain in your feet or legs from standing all day. 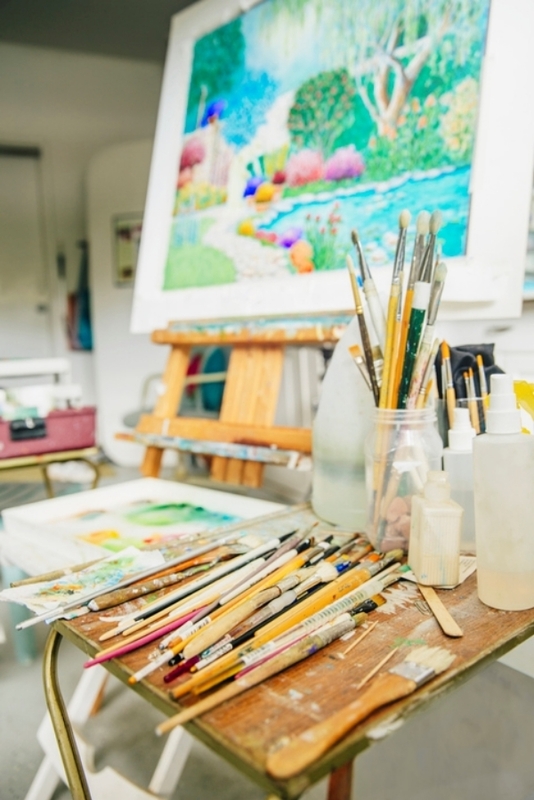 Because art studios can indeed get messy, consider installing a sink so you can clean your supplies and work area and wash the paint, chemicals, dust and other matter off of yourself before returning to your living area. Your art studio should also provide the inspiration to create your best work. “You want your at-home art studio to make you feel transported,” Murphy says. “Dreaming of being a painter in Paris? Pin up some photos that make you feel like you’re there. This space is all about you and your craft, so make a place where you can do you and be you,” she says. 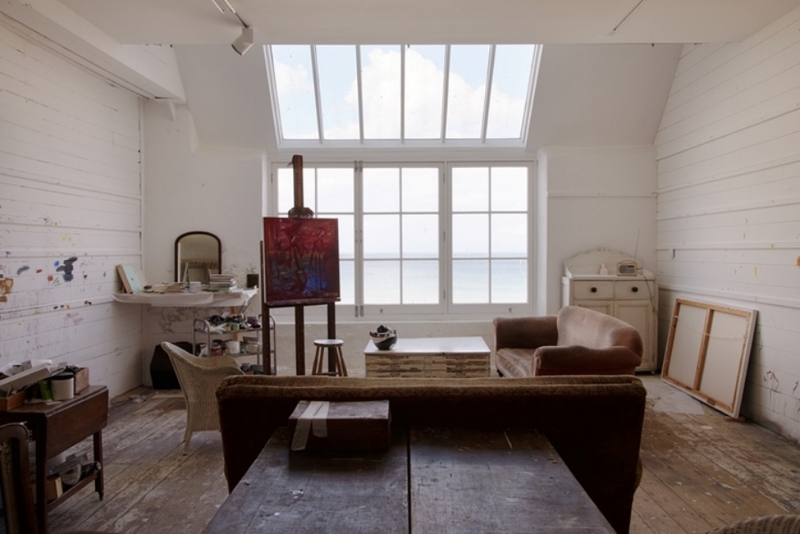 The post Art Studios: Ideas to Get Your Creative Juices Flowing appeared first on Freshome.com.